Jim Rouse secretly bought 14,000 acres of farmland in segregated Howard County, Maryland, promising to transform them into a city of 100,000 that was "economically diverse, poly-cultural, multi-faith and interracial." A veteran journalist tells the fascinating story of how this new town of Columbia grew and prospered, succeeded and failed. Jim Rouse secretly bought 14,000 acres of farmland in segregated Howard County, Maryland, in 1964. He promised to transform the land into a city of 100,000 that was "economically diverse, poly-cultural, multi-faith and interracial." 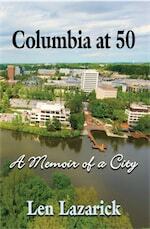 Veteran journalist Len Lazarick tells the fascinating story of how this new town of Columbia grew and prospered over the past half-century, with many successes and a few failures. In 2016, Money magazine called it the "best small city to live in America." Columbia offered new models for many facets of life. There were interfaith religious centers, innovative schools that became some of the best in the country, better health care options, open space greenery near every door step, creative news media, proliferating arts organizations, fitness and recreation facilities for every interest, and new concepts in shopping centers. Lazarick looks at all the major aspects of the planned community and the key players that made them work, weaving the story of him and his family throughout the tale. Columbia has helped transform a rural county between Baltimore and Washington into one of the richest and best educated places in the United States. This easy-to-read series of essays tells how that happened. Veteran journalist Len Lazarick has lived in Columbia, Md., since 1973. Len is currently editor and publisher of MarylandReporter.com, a news website about state government and politics he founded in 2009 as a nonprofit corporation with foundation funding. 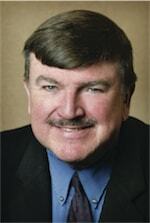 He is also a political columnist at the Business Monthly in Columbia, where he was news editor for eight years. He was formerly the State House bureau chief of the daily Baltimore Examiner and has worked at the Washington Post and the International Herald Tribune. In 1975, Len became the first associate editor at the Columbia Flier. In the 1980s, Len was State House chief and political editor of Patuxent Publishing, then a chain of 13 weeklies that included the Flier. From 1988 to 1996, he was managing editor of Patuxent Publishing's nine Baltimore County papers where he headed a staff of 30 editors, reporters and editorial assistants. Len can be reached at Len@MarylandReporter.com.